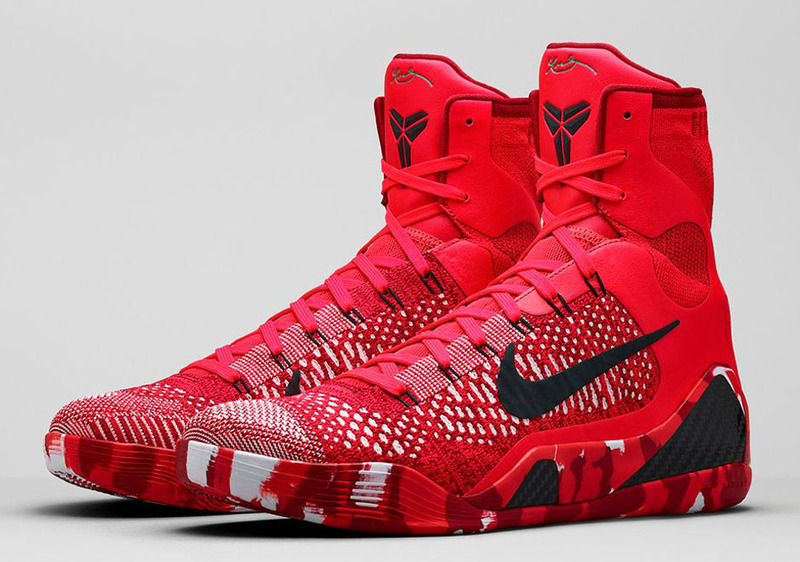 The Nike Kobe 9 Elite “Christmas” is headed to retailers on December 26th, 2014. There’s only a handful of Christmas games left in Kobe’s career, and it’s easy to forget that it was his battles with former teammate Shaquille O’Neal that helped turn the 25th of December into a marquee time to watch NBA basketball. 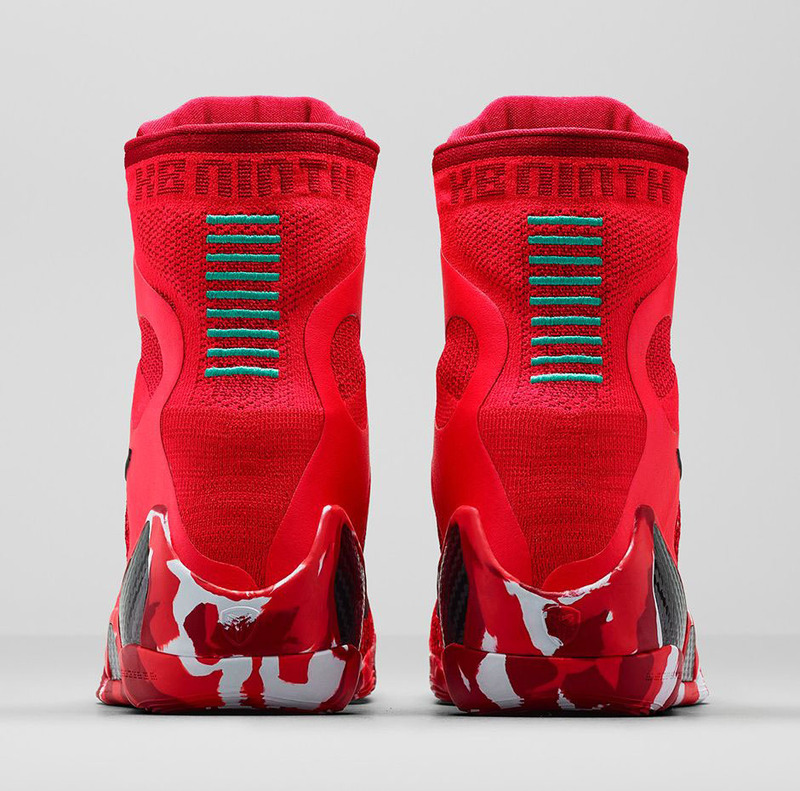 This year he’s skipping out on the Grinch theme for a bullseye red aesthetic as he continues to shoot his way into the record books. 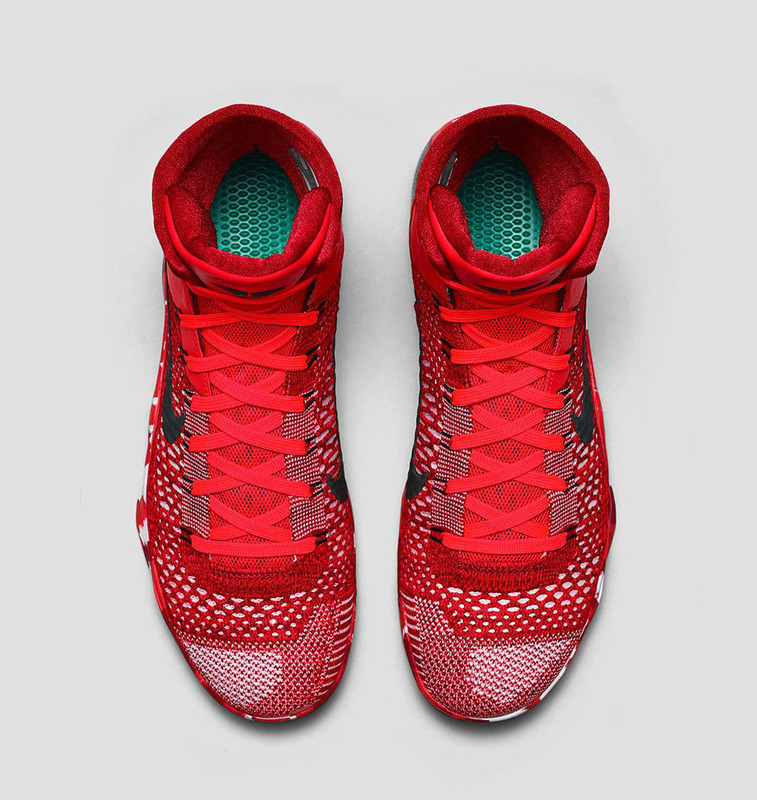 His Kobe 9 Elite stands out with Bright Crimson throughout the flyknit upper while a unique pattern arrives on the midsole to offset the sparse greens found on the heel stitching and insole. More photos after the break.